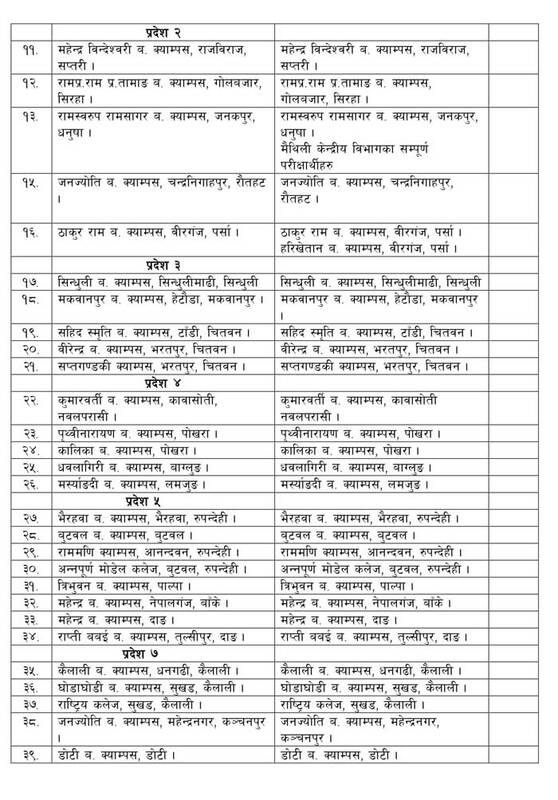 Tribhuvan University, Faculty of Humanities and Social Science, Dean’s Office, Balkhu, Kathmandu has published notice regarding entrance examination centers for the enrollment into Masters Degree for the academic year 2019 (First Semester). 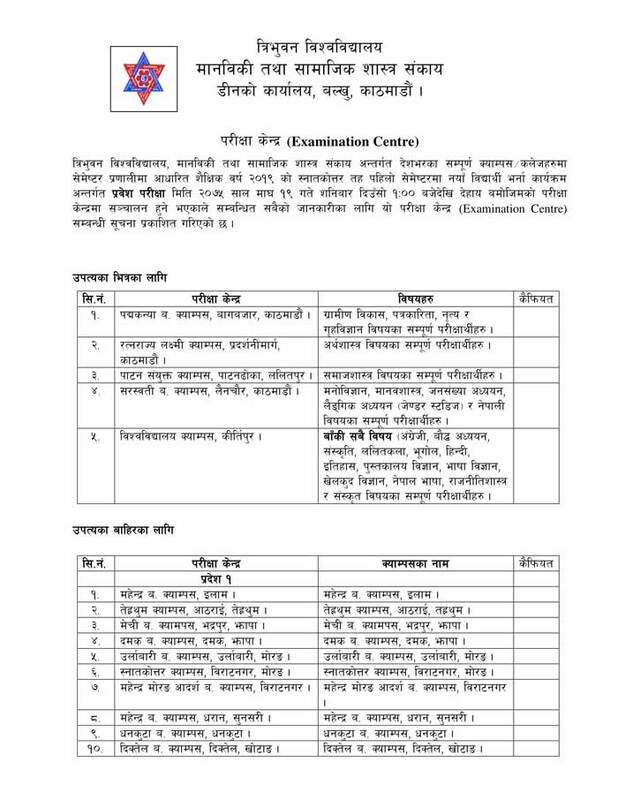 The entrance exam will be held on Magh 19, 2075 (February 2, 2019). The entrance examination will be held at 1:00 pm on Saturday (Magh 19, 2075 ).